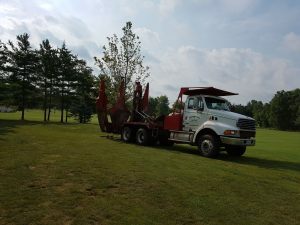 We are equipped to transplant trees up to 30’ tall! 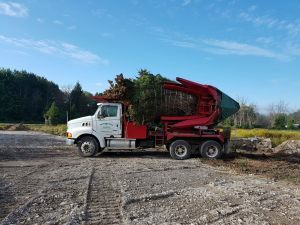 With different sized spade trucks ranging from 44” to 100”, moving trees from our field to yours, around your property, or across town is easily achievable! We serve all of South-Western Ontario! Large tree supply and sales is our speciality. We have over 90 acres of trees to choose from. We grow a wide variety of cutting edge varieties along with popular standard trees. 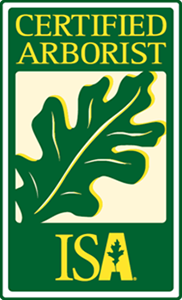 At the nursery, you will find trees from 5' to 30' tall. 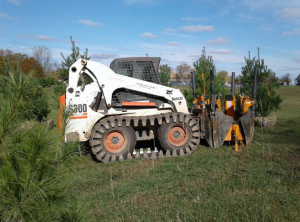 100 inch tree spade moves trees up to a 10" trunk diameter (17000 lb root ball) up to 30' tall. 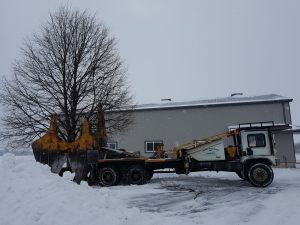 90 inch tree spade moves trees up to a 9" trunk diameter and approx 26' tall. 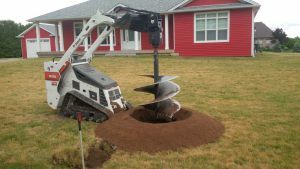 80 inch tree spade moves trees up to a 8" trunk diameter and approx 25' tall. 44" tree spade moves tree up to a 4" trunk diameter. Walk behind skid steer will transplant trees up to a 3" trunk diameter. 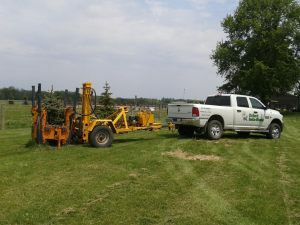 This machine is ideal to use in small areas where a large tree is needed but space is limited for the tree spade to access. The walk behind skid steer can access a space of 36" wide. 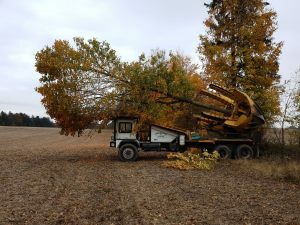 Trees are our specialty and we will help you find the perfect tree for you property. 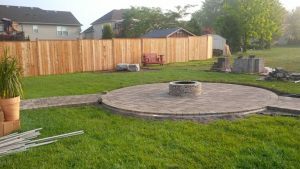 We serve commercial and residential. Do you have a beautiful tree that you want behind the house instead of in front of your living room window? We have the services you are looking for. Give us a call, and we'll be right over. But.....do remember! Trees can only be transplanted in the spring and fall, unless it's an evergreen. No matter whether it is a broadleaf, evergreen or conifer, once a tree is planted, it is planted for good, or at least for a long time. 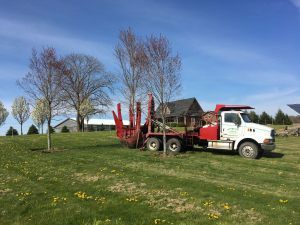 How a tree or shrub is planted will have a direct affect on how it will thrive, so take special care in the planting process and you will get better results and avoid costly replantings - Call us! 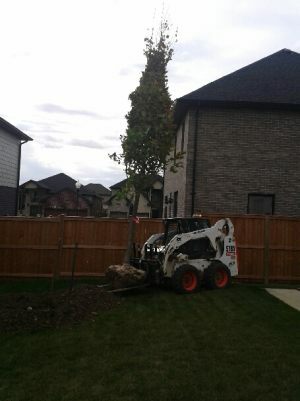 We'll be your Ontario tree movers. Our garden centre and tree farm has a dizzying array of trees and shrubs in every category, in a panoply of containers of all sizes, styles and colours. 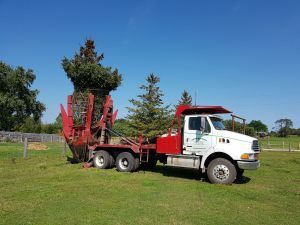 We are your Ontario large tree supply specialists. We are also comitted to tree preservation. 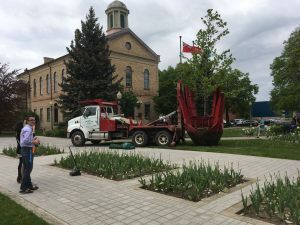 We will keep your trees and shrubs pruned. 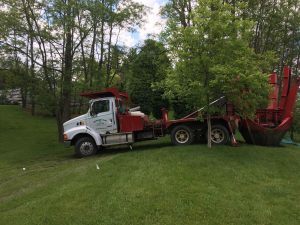 We usually provide this service on a contract basis but 'one-time only' customers are certainly welcome to use these Woodstock landscaping and arborist services. It's just that - ask the experts at Oxford Insta-Shade. Contact us via e-mail at i...@oxfordinstashade.com or call us at (519) 424-2180.